Way back in the year 2003, OST was participating in the Baan World Users (BWU) conference with a booth and several speaking and sponsorship opportunities. Brent Sundberg, one of our account execs, sent out an email asking for feedback for giveaway possibilities at the booth. I made a couple of suggestions including a RC blimp, a good book on philosophy originally written in a Northern European language translated into Portuguese, or an iPod. Can you guess which one won? People didn’t know what an iPod was. We had to explain to the technical crowd at the conference that it was a music player, but that it could also serve as an external hard drive that you can use to backup the critical files on a laptop. 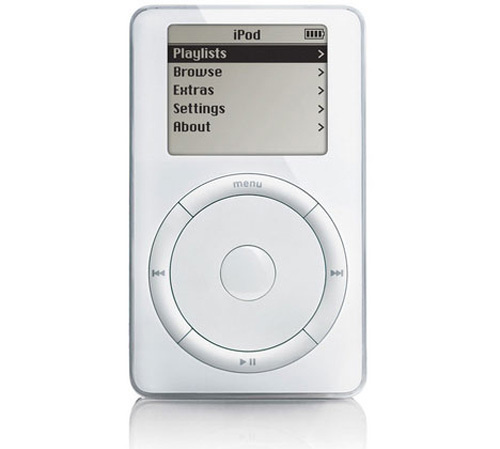 We were the only company giving away an iPod versus today when the latest Apple gadget has become the go-to handout. But how do you upgrade an iPod? I keep an old iPod on my desk as a reminder of this fact. The battery died long ago and it is now nothing more than a desk ornament. 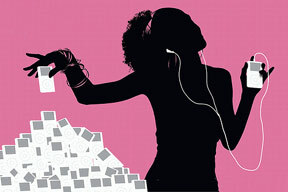 There is a value to the closed system IPod model. The combination of hardware and software and business process and consumer experience can create a unique opportunity for an industry-changing innovation. This absolutely applies to the consumer electronics space. But today, there are a number of IT vendors that are trying to apply the “integrated is the best” option to complex data center solutions. A completely integrated set of technologies are portrayed as creating a better user experience by decreasing complexity. These companies are leveraging the iPod analogy in their data center designs. But what happened when you needed a bigger hard drive in your iPod? Or when the software patches alone didn’t bring the functional improvements? Or when the battery died? You bought a new iPod. And that kind of economic model doesn’t completely apply in the datacenter. Depreciation schedules, capital acquisition strategies, flexibility and agility may dictate that the single-vendor tightly integrated solution may not be the best choice. There are many times where the single-vendor solution, with all of the tight integration, design compromises and version management issues, is too limiting. It often looks great during the sales cycle and it is easy to purchase, but what happens 13 months down the line when a critical software upgrade cannot be installed because it has not gone through the extensive validation necessary to support this tightly integrated solution? What happens when the vendor charges for every disk added to the storage (an astronomical license expense!) and you don’t have a choice because you are locked into the proprietary storage? We have to design for the useful life of the equipment in the enterprise data center, not plan for obsolescence. We need to design for the 3-5 year life of an enterprise application. It is as much about the maintainability and flexibility as it is about the experience and the ease of purchasing. That’s why we create data center solutions that our customers need from the respective best products of our OEM partners, and not just listen to the “Buy Exadata from Oracle”, or “EMC vBlock is the answer”. I love Apple products. We have a lot of little white boxes at the VanderMey home. But I still know that there is no easy way to upgrade an iPod.